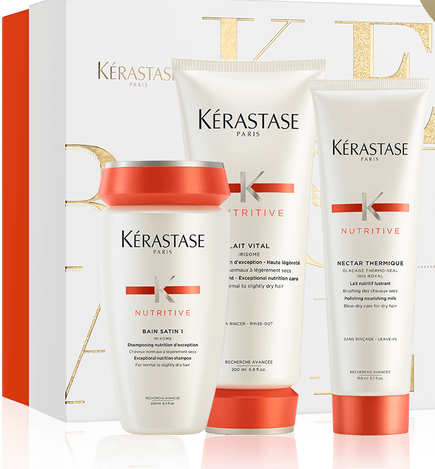 Give the Gift of Kérastase! 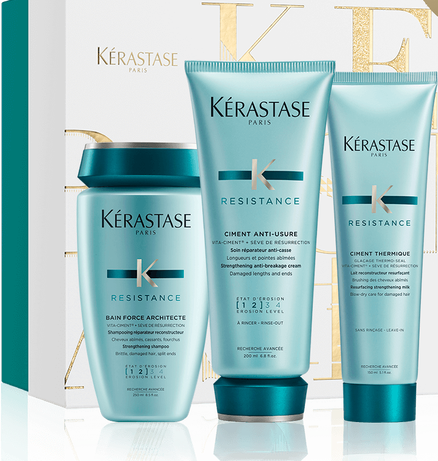 Kérastase gift sets are back at Urban Betty! Skip the holiday rush and purchase a gift set now while supplies last! Give the gift of soft silky hair! This gift set includes a Nutritive shampoo, conditioner, and hair primer. These products work to restore moisture, nutrition and shine in normal to slightly dry hair. For your frizzy-haired friends! 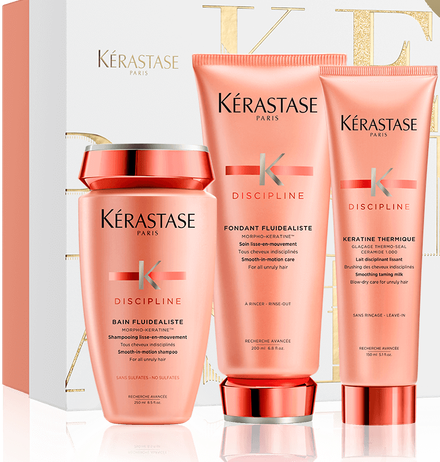 This gift set includes Discipline shampoo, conditioner, and hair primer. These products smooth and tame frizz for fine to normal unruly hair. To protect color-treated hair! 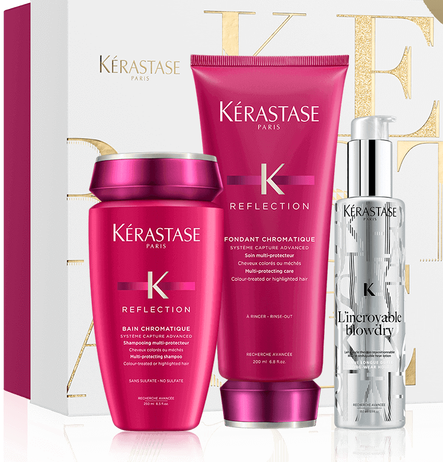 This gift set includes Reflection shampoo, conditioner, and L‘incroyable blowdry primer. The shampoo and conditioner work to cleanse and nourish color-treated hair and pro-long the color vibrancy. The blowdry primer provides 96-hour anti-frizz control and 450° heat protection. Give the gift of hair-strength! This gift set includes a Resistance shampoo, conditioner, and hair primer. These products help reconstruct hair fibers and prevents breakage and split ends while also adding shine.